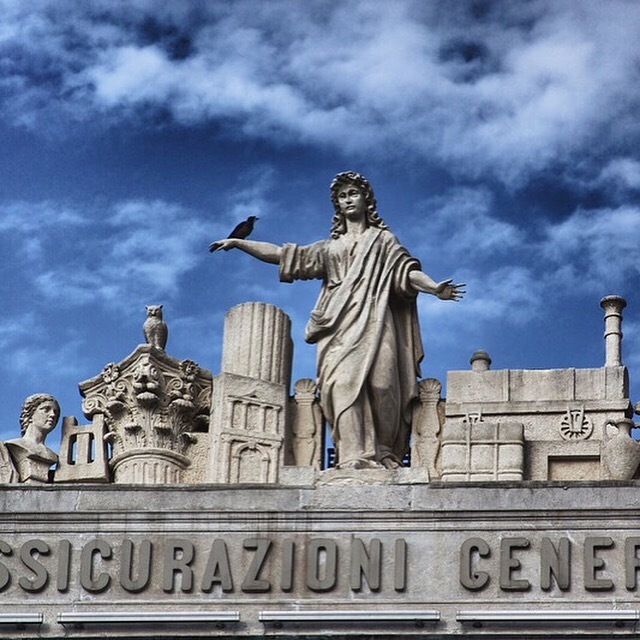 These lovely statues are perched atop the buildings in the public square in Trieste, Italy. This beautiful coastal town sits on the Adiatic Sea between Italy and Slovenia. It’s a well-kept secret that’s just a quick train ride from Venice — a perfect day trip!